THINK about your first baseball game …. the crack of the bat, the first pitch, the roar of the crowd, watching your favorite player slide into home plate. Each of these memories captured in your THINK MLB writing instrument. Rich team color bands of luminescent Italian resin are carefully arranged and crafted, representing a MLB team. A three-dimensional vintage team logo adorns the clip and each team name highlights the band. 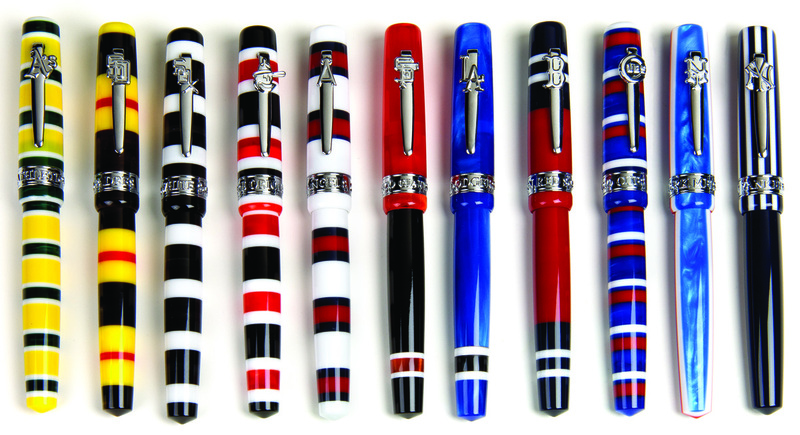 Available in Fountain Pen and Rollerball. Accents are silver vermeil.